Idli is the staple food for South Indians, which we make from polished white rice. Even though most people know red rice is healthy and nutritious, we don’t like it as cooked rice. 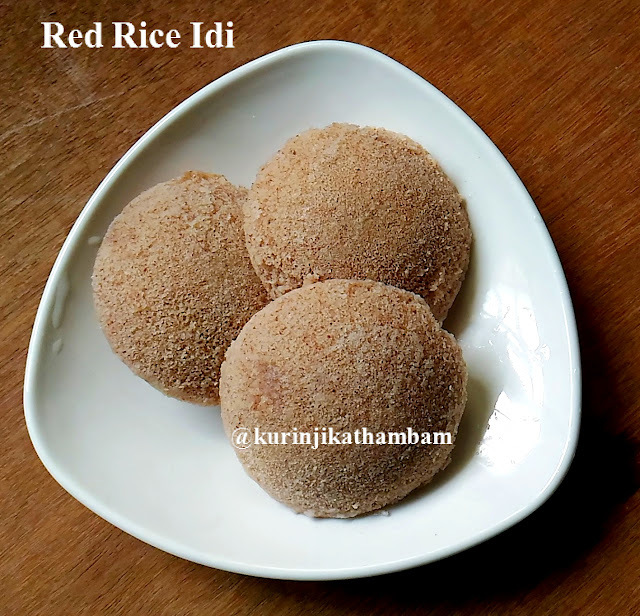 Red Rice Idli is the best alternative because the taste is similar to the white rice idli, but nutritious than white rice idli. 1. Wash and soak the idli rice and red rice together for 3-4 hrs. 2. Wash and soak the urad dal and fenugreek seeds together for 3 hrs. 3. Grind the rice into a fine thick paste. 6. Cover the batter and keep it aside for 8 hrs for fermentation. 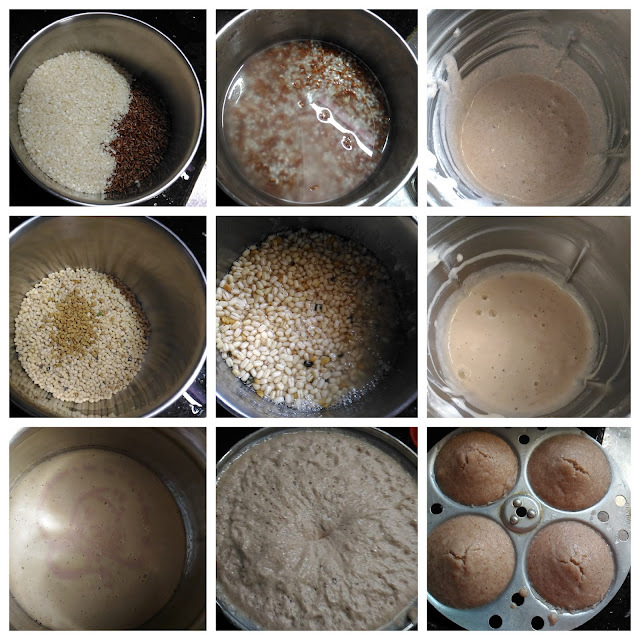 After fermentation , the batter is ready for Idli and Dosa. 7. Grease the idli plates with oil and pour a ladle full of Red Rice Idli batter and steam cook for 7-10mins. 10. If you are using the idly pot, drape the vessel with damp cloth and pour batter into the cups. Sprinkle water on the cloth and then remove the idly. Healthy and delicious Red Rice Idli is ready! Serve this Idli with any spicy chutney. 1. Adjust the ratio of the urad dal as per your normal white rice idli ratio.